Tough title for this one, especially given this is supposed to be about “good news”! It is important though that you understand the gravity of these statistics, so that you can truly appreciate the good news of being a patient here at New Life Chiropractic! I recently read an article by W. Gifford-Jones, MD in which he reviewed several studies cited in prestigious medical journals which discuss the risks of modern medicine. In a recent article in The Journal of Molecular Medicine, the most current statistics for annual deaths in the United States are 700,000 from heart disease and 500,000 from cancer. 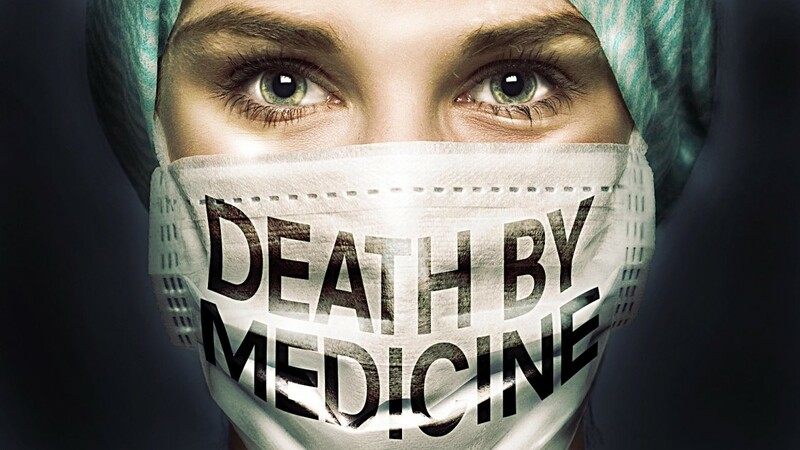 Those are certainly horrific statistics, however, those two figures are both eclipsed by deaths caused by conventional medicine which the journal study concluded was 800,000 annually! This report also claims that 7.5 million medical and surgical procedures are unnecessary. In addition, 8.9 million patients are needlessly admitted to hospital and 2.2 million patients suffer adverse reactions to precription drugs. Also, 20 million people are treated with antibiotics for viral infections. Antibiotics are inappropriate and completely ineffective against viruses! The study also concluded that over a ten year period, 50% of the U.S. population will receive unnecessary medical care and 7.8 million will be killed. To put this into perspective, this last figure is greater than all the casualties from all the wars fought by the U.S. in its entire history! Dr. Gifford-Jones also references The New England Journal of Medicine which adds that 1 million patients are injured annually in the U.S. and that 280,000 die due to these injuries. Understand, it is not just Americans. All research and indicators show that our health care system is the same as the One studied in the United States. So, yes this means there are a whopping 80,000+ deaths each year in Canada, so our medical care is equally dangerous. It needs to be understood that conventional medicine employs some very risky procedures. Ingesting a drug or a chemical to profoundly alter your physiology is inherently risky. Cutting open a part of your body is definitely risky. Are there times when risky procedures are necessary? Absolutely! Medicine is the very best for dealing with trauma, crises, and health emergencies. In these cases, the benefits outweigh the risks and are entirely appropriate. However, when you apply these risky procedures as the first and often only approach to all our health issues, tragedy will result. The above quoted statistics speak for themselves. So what is the GOOD NEWS? You, who are reading this handout are not relying on this high risk health care model as your “go to” for everything. You understand that you are far safer and abundantly more healthy here under spinal reconstructive care, removing pressure from your spinal cord and letting your brain breathe power and life to your body. Praise God – He made us wonderfully and powerfully able to heal and to be strong! THURSDAY, MAY 5TH AT 6:15PM – COME JOIN US FOR OUR “WEIGHT LOSS – THE RIGHT WAY” ADVANCED WORKSHOP. You will learn how to take off the pounds effectively and efficiently, how to get motivated and stay motivated and how to, once they are off – keep them off. Seating is limited, book your spot and a friends today!